JMW Solicitors LLP (‘the Firm’) is a limited liability partnership registered in England and Wales (with registered number OC338958). Our registered office and main practising address is at 1 Byrom Place, Spinningfields, Manchester M3 3HG. Our VAT number is 150 1376 04. References on our Website to ‘JMW Solicitors LLP’, ‘JMW’, ‘we’, ‘us’ or ‘our’ mean the Firm. The term ‘Partner’ in relation to the Firm refers to a member of the Firm or to an employee or consultant with equivalent standing and qualifications. A list of our members’ names may be inspected at our registered office. Our Website is owned and operated by the Firm. For the purposes of these terms, the Firm includes any and all of the Firm’s subsidiary undertakings, co-branded businesses and joint ventures which may exist from time to time. The Firm will not be responsible for any breach of these terms caused by circumstances beyond its reasonable control. We currently have worldwide professional indemnity cover with a participating insurer. Details of our cover can be provided on request. The Firm has policies and technical measures in place to safeguard and protect your personal information against unauthorised access, accidental loss, improper use and disclosure. However, neither e-mail nor the internet generally are not completely secure and though we will do our best to protect your personal information, the transmission of your data to us is done so at your own risk. By breaching this provision, you may commit a criminal offence. We will report any such breach to the relevant law enforcement authorities and we will co-operate with those authorities by disclosing your identity to them. In the event of such a breach, your right to use our Website will cease immediately. All information contained in any message or attachments is intended solely for the addressee. It is confidential and may also be legally privileged. If you have received any messages in error, please send them back to us, and immediately and permanently delete all copies. The unauthorised use, disclosure, copying or alteration of this message and/or any attachment is strictly prohibited. If you require verification of the content of any email message and/or attachment, or if you have any questions about this policy or our usage of email, please contact us. We are aware that criminals have been using the JMW name and sometimes the names of individuals working within our organisation in scam emails, letters and phone calls. These communications typically suggest that an inheritance or a job can be obtained by paying an upfront fee. Their aim is to get your money and/or your personal data to use in other illegal activities. Please act cautiously for your own protection. If you receive any communication claiming to be from JMW or any of our partners or employees about which you are uncertain or suspicious, do not respond and particularly do not provide personal or confidential information. You can check the legitimacy of any suspicious communication by contacting us. We do not use web-based email addresses such as gmail, hotmail or yahoo. Please note that this firm and its lawyers have no involvement in any of these scams. Our name is being used in an unauthorised and illegal way. We report incidents of which we become aware to the relevant authorities. There are, however, new scams being devised by criminals regularly. You can find further information on scams (including ones we have reported) on the Solicitors Regulation Authority website. You can also contact the SRA to find out if individuals or firms are regulated and authorised by the SRA and verify an individual's or firm's practising details. Other verification methods, such as checking public records (e.g. telephone directories and company records) may also be undertaken. JMW is committed to conducting business according to high standards of business integrity. We have a zero-tolerance policy in respect of bribery and corruption. We require those with whom we have business relationships to have and maintain a like policy and appropriate procedures for combating bribery and corruption. Please contact us if there is any suspicion that there has been a breach of our policies. The JMW logo is a UK registered trade mark of JMW Solicitors LLP. The JMW name is an unregistered trade mark of JMW Solicitors LLP. We are not authorised by the Financial Conduct Authority. However, we are included on the register maintained by the Financial Conduct Authority so that we can carry on insurance mediation activity, which is broadly the advising on, selling and administration of insurance contracts. This part of our business, including arrangements for complaints or redress if something goes wrong, is regulated by Solicitors Regulation Authority. The register can be accessed via the Financial Conduct Authority website at www.fca.org.uk/register. 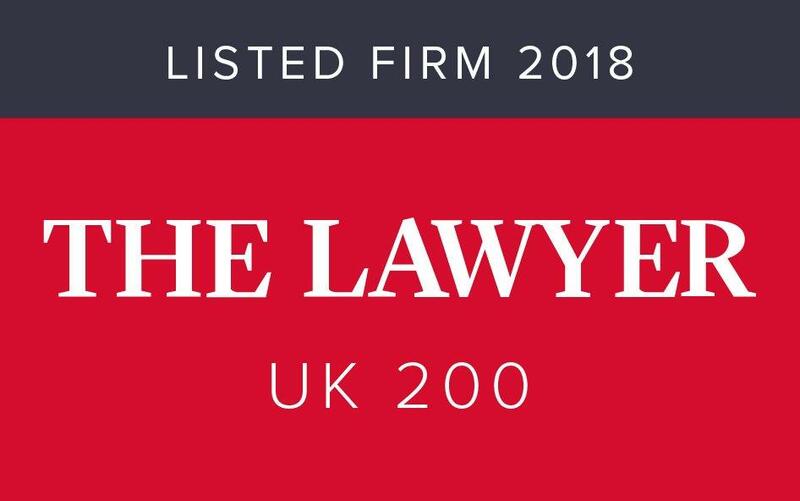 The provision of our legal services may also involve other regulated activities in relation to investments within the meaning of the Financial Services and Markets Act 2000. Although we are not authorised by the Financial Conduct Authority under the Act for those regulated activities, we may undertake activities such as arranging and advising which are incidental to our legal services or which may reasonably be regarded as a necessary part of our legal services. In doing so we are regulated by the Solicitors Regulation Authority. We cannot provide advice on the merits of financial products but can assist you to execute decisions which you may have made in relation to financial products. If there is any aspect of our service with which you are unhappy, please raise your concerns in the first place with the person responsible for your matter. If you still have queries or concerns, we have an internal complaints procedure. In circumstances where you are not satisfied with the outcome of our internal complaints procedure, you may be eligible to complain to the Legal Ombudsman. Further details on eligibility and time limits can be found in our complaints handling procedure or on the Legal Ombudsman’s website. Alternative complaints bodies exist which are competent to deal with complaints about legal services in circumstances where both you and the Firm agree to use such a scheme. Details of these bodies can be found at the European Commission’s online dispute resolution website: http://ec.europa.eu/odr. However, in our experience the Legal Ombudsman’s scheme is the most suitable body to deal with any concerns of yours which we are unable to resolve. We are authorised and regulated by the Solicitors’ Regulation Authority under number 508380 and subject to compliance with the SRA Code of Conduct, details of which can be found at www.sra.org.uk.